CodeMonkey has seen vast success with its autistic users and according to the information below, it is no surprise why. Those with Autistic Spectrum Disorder (ASD) are naturals when it comes to technology usage and computer programming. Read on to learn 3 reasons why autistic children excel at computer programming. Logical: Most of the time, students with autism are better at mathematics than those without ASD. This is because their thinking style tends to be very logical. Another field that calls for logic is computer science. Since Autistic children typically have a more dominant left side of the brain, they are naturally drawn to computer science, specifically writing code. As a result, Autistic students have a higher chance at excelling in jobs that require precision and repetition – such as updating databases, coding, and analytics. Predictable: Students with autism prefer the type of work where they organize and gather large amounts of data that will yield predictable results. People with autism value the increased control over their interactions that is afforded by the filter of a computer screen. Covering large amounts of information as well as working with predictable outcomes, calms people with ASD down. Since computer programming is predictable and logical, autistic students are not left with uncertainties, can de-stress and out-perform the average individual. Visual: Children with Autism are very visual learners. Since Computer Programming contains a lot of visual information, Autistic children process computer programming more easily than their non-Autistic counterparts. A very useful tool in transforming daily tasks into more visual and understandable ones, is the iPad. The iPad has played a huge part in helping society deliver a visual platform to Autistic students that drastically helps them on a daily basis. Students with Autism use iPads to complete daily tasks, such as brushing one’s teeth, more easily. One great iPad app is CommunicoTool, a language and development app that gives a voice to children with speech disorders, such as ASD. Technology immerses us everywhere we go. For Autistic students to be able to understand the mechanisms behind computers paves the way for them to have pleasant social interactions and to better adjust to society. 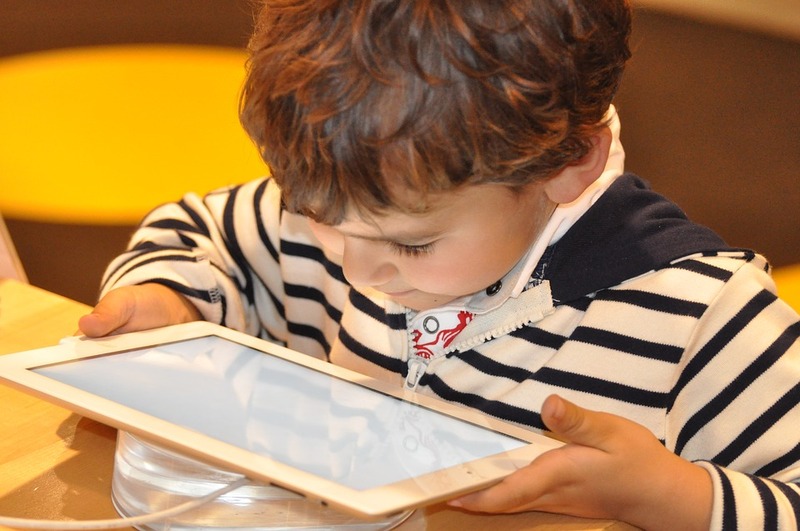 Technology not only helps those with ASD find a common ground with other children and relate to them, but increasingly becomes an outlet in which Autistic students can shine. As someone who suffers from autism myself, reading this article gives me a great deal of confidence. I am happy to hear that you enjoyed this article! Have you used CodeMonkey? Hi any tips on helping to encourage young autistic children to explore computer programming and related subject areas? My son is 15 and is very good with technology – but I’m trying to find a way to help him explore this deeper. Have you tried out CodeMonkey’s Coding Adventure and Dodo Does Math? These are two courses that he might find interesting depending on his math and coding level. Dodo Does Math is recommended for 3rd to 5th graders, but he might enjoy it. Let us know what he thinks! We also have a game design course called Game Builder that he might enjoy. Next PostNext CodeMonkey Releases its First Math & Coding Courses!